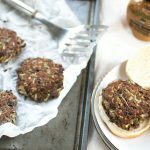 This simple Black Bean Zucchini Burger recipe is a guest post from Katie the face behind Produce On Parade. 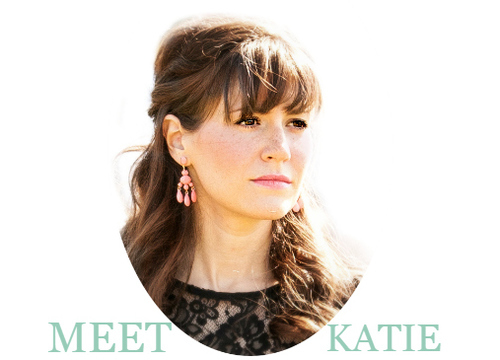 My mission is to help inspire people to lead kinder lives; lives with less impact on the planet and healthier lives. To hopefully make you laugh and include you in on our crazy Alaskan adventures. And whether you’re a vegan, vegetarian or an omnivore, our recipes are sure to be a hit and maybe you’ll even find some inspiration to cut back on animal products and lead a healthier, more peaceful life. Let’s be truthful, veggie burgers don’t excite the general population of burger eaters. However this recipe is awesome, fast, delicious and doesn’t contain any soy or gluten. This guy is for when you want something quick, very healthy, and very tasty. Save the laborious, omni-converting burger for when you have the time…and patience. These are soft burgers, they don't really have a "meaty" texture. If you don't have a food processor, the zucchini can be shred by hand. In a large bowl, add the black beans and mash them with the back of a rounded measuring cup. Shred the zucchini (I did this in a flash with my food processor) and add it to the beans. Add the remaining ingredients and mix with your hands, until very well combined. Allow to rest for 10 minutes. Coat a large frying pan with nonstick cooking spray and heat over low. Meanwhile, form the mixture into 5 patties. Fry each patty a few minutes on one side, until browned. Flip and brown the other side. They can be fried in batches if they don't all fit at the same time. Serve hot and however you like. We did ketchup and whole grain mustard, but I bet a vegan BBQ sauce would be good as well!